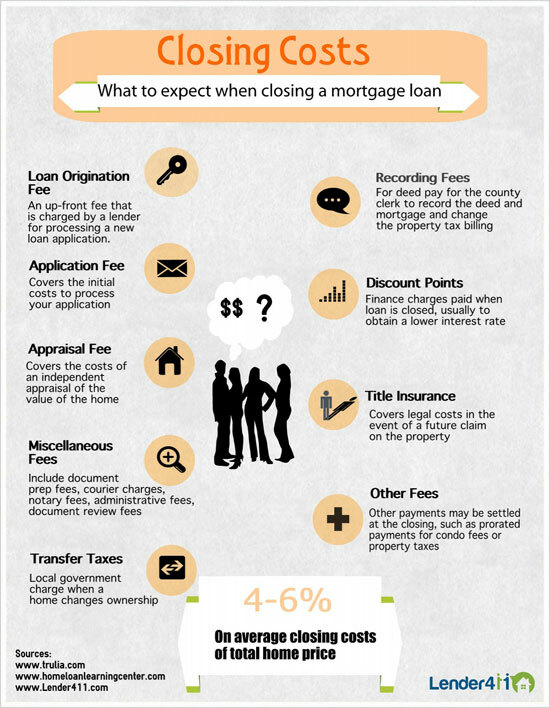 This infographic illustrates the closing costs associated with borrowing a loan. Closing costs include the origination fee, application fee, appraisal fee, transfer tax, title insurance, discount points and other miscelaneous fees. Closing costs on average are equivalent to 5% of the total home price.